If you are anything like me, you love wearing skirts in the summer. Here are a few cute skirts to get you in summer skirt mode. LOVE 3 and 7!! Great choices! 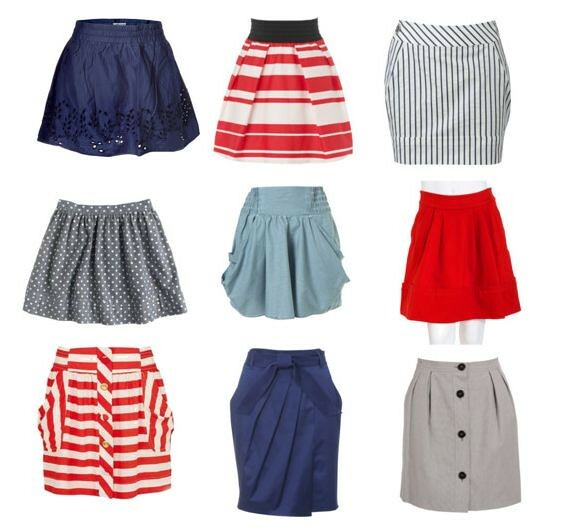 Love all the skirts & would like it if they were in my closet. LOVE skirts, so much cooler! Love the Sophie skirt--not even just because it's named Sophie! Yes all of them please. I'm loving these skirts, especially #4,5 and 7. You're making me want to shop. But no, I have so much to do. I'm going to stay focused. Thanks for the lovely eye candy!